Braving bitter winter temperatures isn’t something that every couple is willing to do for the sake of a beautiful backdrop for their engagement photos, but I am so very thankful for flexible folks like Katie and Dom because going on adventures is what it’s all about! It’s no secret that I love photographing outdoor engagement photos no matter how unpredictable the Boone weather might be. There’s just something special about shooting outside that will always excite me whether I’m discovering some beautiful backlight during golden hour or combating a blizzard that’s creating a wicked case of windblown hair and frozen fingers, it’s all part of the story. Your story. Dom’s a pilot in the Air Force and is currently stationed in Oklahoma while Katie lives here in Boone, NC working as a freelance videographer where she grew up . 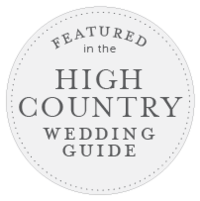 The couple is planning their destination wedding for this October and it’s happening at an amazing wedding venue called Leatherwood Mountain that I can’t wait to photograph at. The couple’s long-distance love story started back in 2012 when they met through a mutual friend at an Atlanta Braves game. After doe-si-doe-ing during a dance break, Dom decided to get Katie’s digits so they could stay in touch. It took about 6-months before they made it exclusive. Since then, their long-distance-love-connection has continued to grow over the years. In Nov. 2014 Dom whisked Katie away to Charleston, SC for yet another one of their adventures. After spending some time enjoying the city, they ended their day at Sullivan’s Island to watch the sunset while sitting on a blanket and sipping Spanish wine, something they did together when they first started dating. Katie whispered to Dom that this was a perfect moment, and he responded by telling her that it was about to get more perfect as he pulled out the sparkliest engagement ring she’s ever seen. Without hesitation, she said YES! When Katie and I started planning their engagement session, she wasn’t sure about a location, but it wasn’t long before she came up with the perfect idea. We just had to keep our fingers crossed that the weather would cooperate. She was a little worried about the forecast during the week leading up to the engagement shoot because we only had one day to do their pictures while Dom was in town for their wedding planning, but we stayed optimistic. One thing I do with my couples to help them choose a location for their engagement session is have them fill out a questionnaire. It asks all sorts of seemingly random questions that will help me come up with engagement photo location ideas just in case you don’t already have one in mind. It’s also another way for me to learn more about you and your fiance! I enjoy finding out about your personalities and how you like to spend your free time. For instance, what shows you watch can tell me a lot and what words you might use to describe yourself as a couple are some things I ask to get to know you. The answers you provide help me prepare so that your session is uniquely you! The location idea that Katie wanted to explore was photographing their engagement pictures at the Greenway Trail here in Boone, NC. She’s been going there since childhood, it’s a beautiful wooded area not too far from Boone’s city center with trails for jogging, biking, hiking, etc. It’s a super popular spot all year long that’s close to town. I’ve used this outdoor location to photograph people before so I am pretty familiar with the area—it also happens to be a stone’s throw from our home. In fact, it’s also where I shot my very first engagement session back in 2011! While I’ve photographed families and individuals here on the Greenway Trail since then this is the first couple I’ve had the pleasure of shooting there in a number of years. It’s just as gorgeous in the wintertime as it is in the spring, summer, and fall if you ask me! It was a frosty 23 degrees when I met Katie and Dom for the first time on the Greenway Trail. This definitely wasn’t ideal weather to shoot in but the sun was shining and the wind was gently blowing, so I wasn’t complaining. I brought along a set of vintage hand-warmers and gave one to each of them in hopes that it would help keep them from freezing. They also had disposable hand and foot warmers tucked away that helped some, too! Surprisingly, I was unaffected by the cold because I was running so hot. Initially, we were entertaining the idea of shooting their engagement session at the Turchin Center (a museum of sorts) because of the not-so-favorable forecast but when I got word back that they wanted $75 an hour to shoot there—not to mention the fact that they needed to see all of the images I would capture to make sure none of the artwork was photographed—we decided to take our chances and hope for the best with the outdoor photo shoot instead! And I’m so glad we did because it was beautiful. I got carried away while shooting and our 1-hour session almost turned into 2-hours. Time flies when you’re on an adventure! The special spark that these two share helped me to see what keeps them so close even though the distance between them is vast, for now. Katie and Dom are one-of-a-kind and I’m so glad that I had the opportunity to be their engagement photographer! I’m really looking forward to photographing their wedding. CONGRATULATIONS to Katie + Dom on your engagement and upcoming marriage! I wish you two epic adventures in life and love, and I hope that your relationship and connection will grow stronger as you continue this journey together! Thank you so much for choosing me to capture your adventurous engagement photos at the Greenway Trail. I hope you enjoy this sneak peek while I finish up your full gallery! Ready to book your exclusive Engagement Adventure Session? 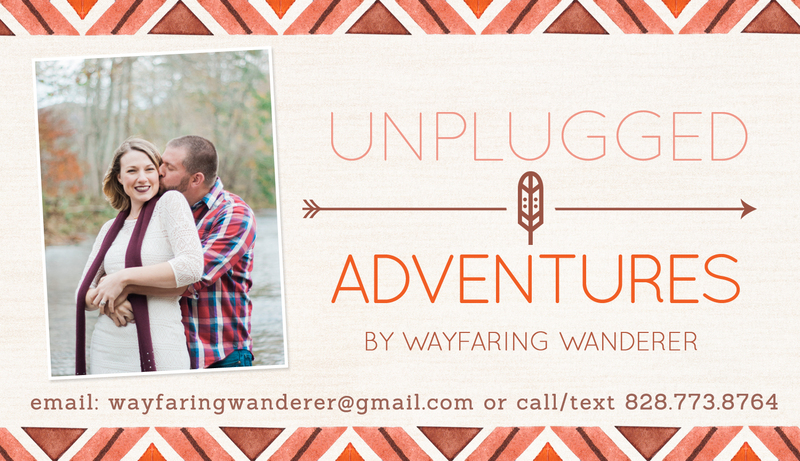 Send me an email at wayfaringwanderer@gmail.com or message me through my website contact form because I’d love to find out how I can best help you! Now BOOKING 2015 + 2016 engagements + weddings! I’m currently offering UNPLUGGED PHOTO ADVENTURES in October & November to couples & families that are looking for an alternative to formal family photos! Click here for details!